Get your FREE Winter Warmer Packs as well as advice and information to stay warm and well. 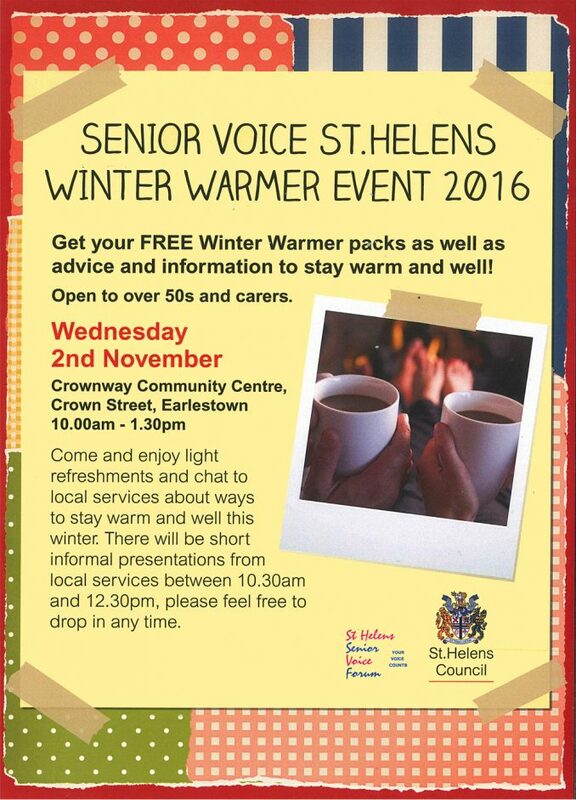 Come and enjoy light refreshments and chat to local services about ways to stay warm and well this winter. There will be short informal presentations from local services between 10.30am and 12.30pm, please feel free to drop in any time.